OD is an abbreviation of oculus dexter, which is Latin for right eye. 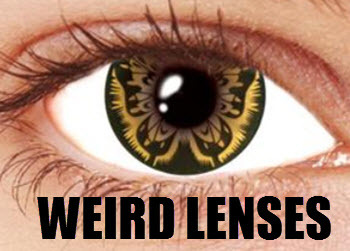 OS is an abbreviation of oculus sinister, which is Latin for left eye. OU is an abbreviation of oculus uterque. If you see OU on your contact lens prescription, it means that the prescription is the same for both eyes. Diopter is a unit of refractive power that is equal to the reciprocal of the focal length in meters of a lens. Diopter is usually abbreviated as D on contact lens prescriptions. The strength of correction provided by a contact lens will be shown after the abbreviation PWR or SPH on the box when you buy contact lenses in English. On your contact lens prescription, you might not find any of these abbreviations. Instead, the number that shows what correction each eye need is written down right next to the abbreviations OD and OS (or OU). If the number is negative (-) it means that this eye has myopia, i.e. nearsightedness. If the number is positive (+) it means that this eye has hyperopia, farsightedness. Your contact lens prescription says OD -3.00 and OS -2.50. This means that you have 3.00 diopters of nearsightedness on your right eye and 2.50 diopters of nearsightedness on your left eye. Your contact lens prescription says OD +3.00 and OS +2.50. This means that you have 3.00 diopters of farsightedness on your right eye and 2.50 diopters of farsightedness on your left eye. A contact lens marked with plano provides no visual correction. Example: Your contact lens prescription says OD -3.00 and OS 0.00. This means that your left eye is neither nearsighted or farsighted. Your right eye is nearsighted by 3.00 diopters. 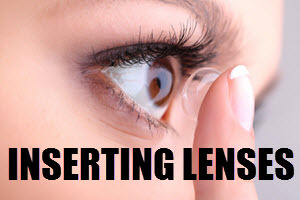 If you don’t need visual correction but want to wear contact lenses anyway (e.g. colored contact lenses or special-effects contact lenses) the contact lenses should be plano. This measurement shows you what the curvature on the inside of the contact lens should be to fit your eye. 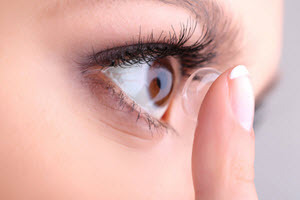 It is important to get this right – you don’t want to wear a contact lense that do not follow the shape of your cornea. This is one of the reasons why you should have your eyes checked by an optician even if you only want to wear plano (non-corrective) contact lenses. The base curve is normally measured in millimeters. A base curve in the 8 mm – 10 mm span is very common. The lower the number, the steeper the cornea. 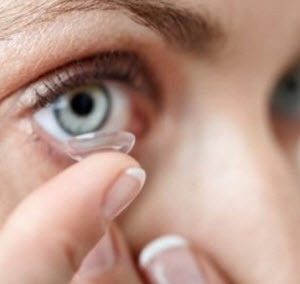 Your contact lens prescription will include information about which contact lens diameter you need. The diameter is normally measured in millimeters. 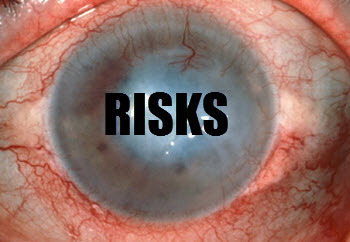 Using contact lenses that aren’t of the right diameter for your eyes can cause irritation and even abrasions. This is another reason why it is important to get a contact lens prescription from an optician even if you just want to wear plano (non-corrective) contact lenses. ADD is short for add power. This field on your lens prescription will only be filled in if you are getting bifocal contact lenses. The ADD number will show the amount that the lens needs to be adjusted. It is measured in diopters. These two measurements are included on contact lens prescriptions for eyes that have astigmatism. Astigmatism is usually caused by an irregularly shaped cornea, but can also be the result of an irregularly shaped crystalline lens. Please note, that if you have astigmatism, you may need a special type of contact lens called toric contact lens. The cylinder is measured in diopters and show the amount of astigmatism. The axis is the measurement calculated in degrees that is required to bend light to correct the irregular shape causing the astigmatism. The axis number will show how slanted the cylinder should be.